Earlier, when people needed to unwind, they’d take a stroll in the park. Picnics in the park were a way to spend time with loved ones. Over the years, the penetration of smartphones has changed all this. People looking to unwind, spend time on social media which in my opinion causes more stress. This issue hasn’t gone unnoticed. Some City Authorities and individuals have taken initiatives to bridge the gap between nature and technology with QR Codes. We all know what QR Codes are. Yes, the black-and-white squares that link can link to an array of information. In 2017, Waco-McLennan County Public Health District and Parks & Recreation, set up QR Code boards in 11 parks in Waco, Texas. 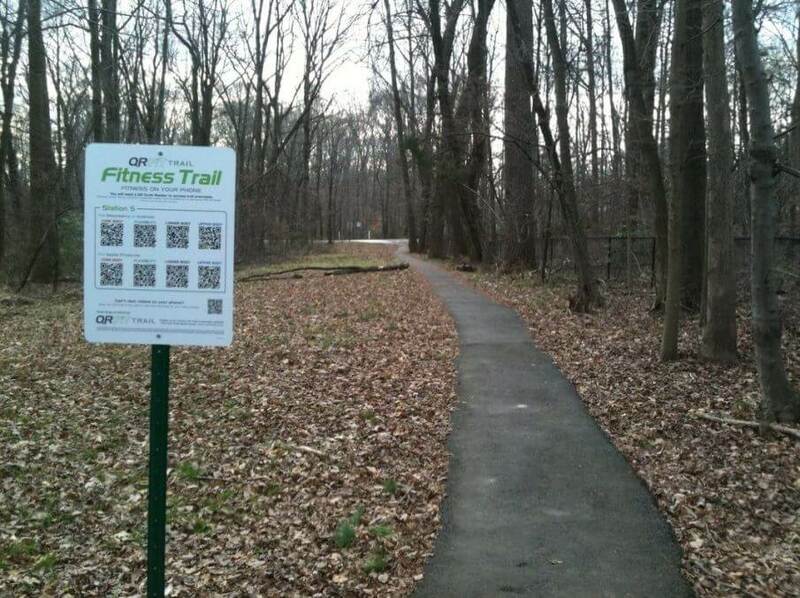 These boards are part of the QR Fit Trail System. When scanned, the QR Codes link to a variety of fitness videos. The videos are specific body parts, making it easier for users to choose. 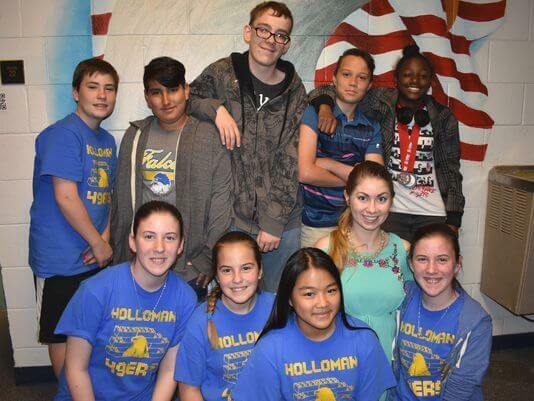 In 2017, a group of nine teenagers added QR Code plaques outside every exhibit at the Alameda Park Zoo in New Mexico. When scanned, the QR Codes link to more information on the animal on exhibit. In 2017, Randy Ark, a Vietnam war veteran added QR Codes to a memorial park in Springfields, Ohio. The QR Codes in the park will link to pictures and details of the lives of other fallen heroes and war veterans. It will also share more on the memorial. The initiative is a collaboration between Randy and Dodds Monuments of Springfield. 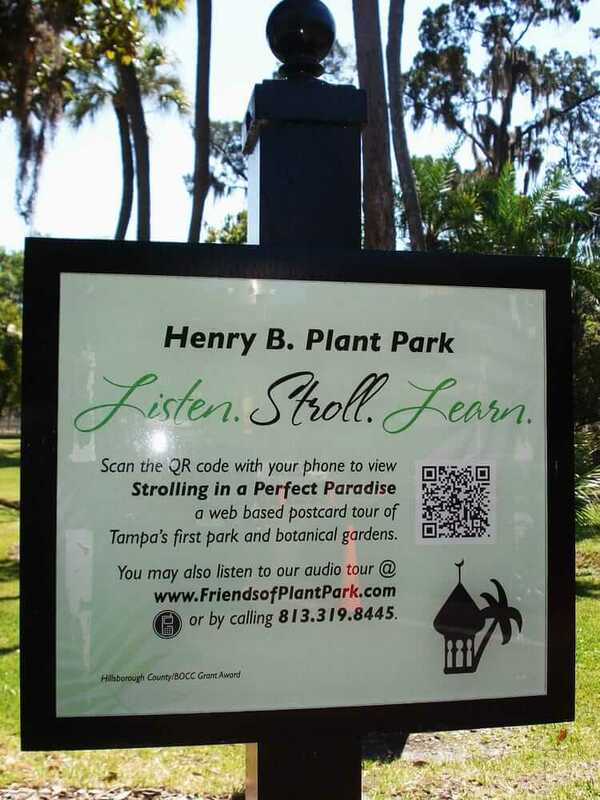 The Henry B Park located in Tampa, Florida is the city’s first botanical park. The park has QR Code plaques that allow visitors a virtual tour of the park on their smartphone. The tour is titled ‘Strolling in a Perfect Paradise’. 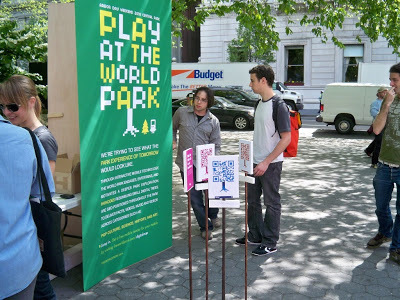 In 2010, The World Park organised a QR Code tour of the famous Central Park in New York. QR codes plaques were places across various section of the park. The QR Codes called Parkodes, linked to trivia questions about Central Park. Visitors were handed out a map and a scorecard at the park’s entrance. 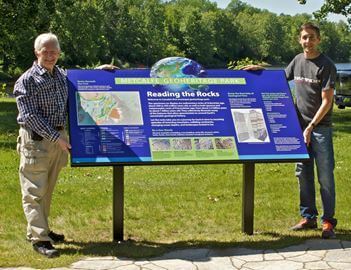 Metcalfe Geoheritage Park, in Mississippi Hills, Ontario, opened in 2016. The park has on permanent display, a variety of local stones. Some specimens on display at the part date back to 500-450 million years. To help visitors learn more about the exhibits, the authorities at the park have put up boards that bear a QR Code. Scanning the QR Code directs visitors to a page with detailed information about the park and the specimens at display. 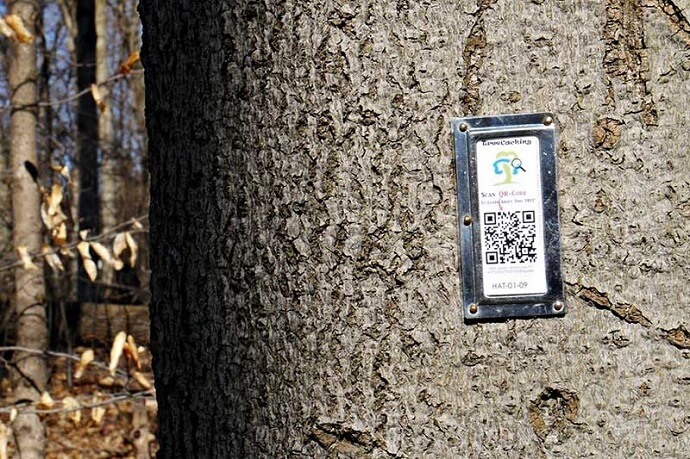 In 2015, Climate Sake, a registered charity based in Toronto, Ontario added QR Codes to trees in the Humber Arboretum Park. The initiative called, Treecaching Trail, was devised to help children connect with nature. Scanning the QR Codes linked to a page with more information on types of trees in the park. 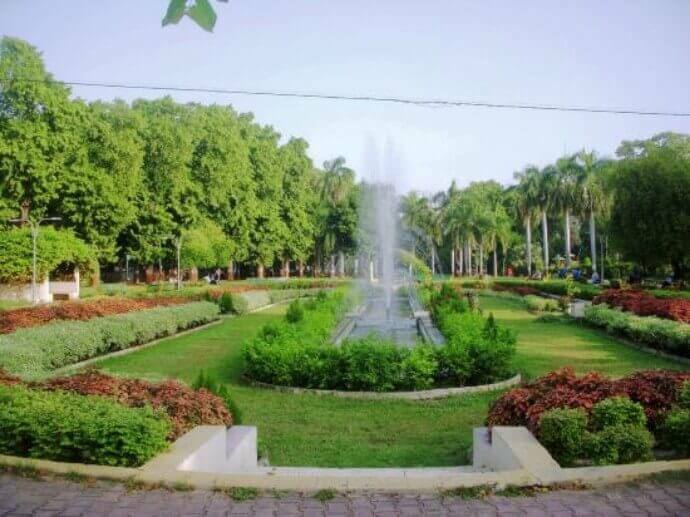 In Aug 2018, the Civic Body received a proposal to build a 3D theme park in Sayajibaug. Every pole of the park will have a QR Code which will have a different theme. The pole near the planetarium will relay theme such as International Space Station. The pole near the fountain will bring a blue whale or a dragon spitting fire on the screen. In 2017, authorities of a colony in Noida, Uttar Pradesh, set up an open gym at a local park. 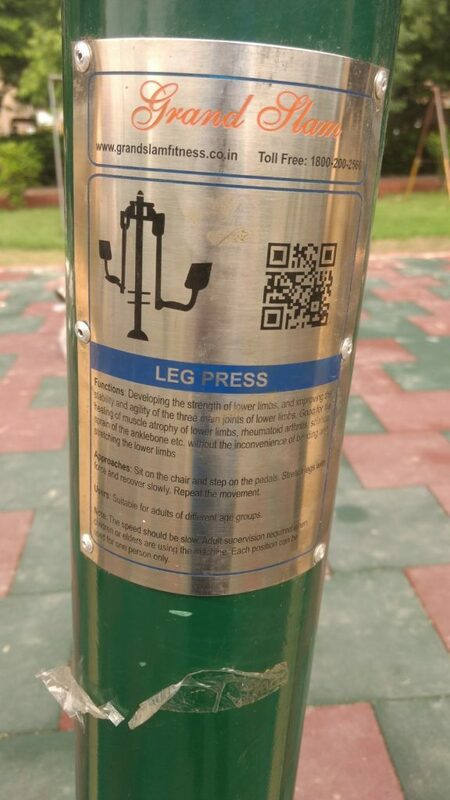 Each gym equipment comes with a QR Code printed on a metal plate. When scanned, it directs the user to videos on how to operate the said equipment. 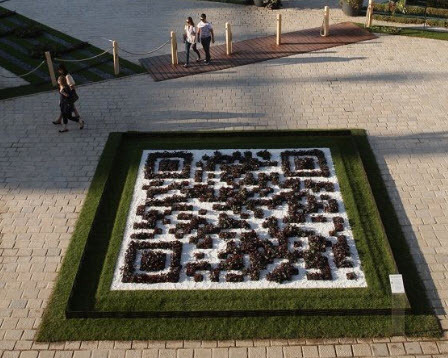 In 2011, the gardens of Place Stanislas displayed the world’s first botanical QR Code. The QR Code, added as a temporary attracting, was spread across an area of 40 square feet. Scanning the QR Code directed users to a webpage listing programs and event scheduled at the Stanislas Palace. 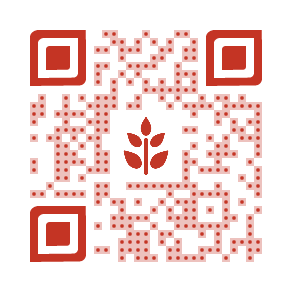 In 2017, Muddy Boots plant tags also rolled out QR Code tags that help gardeners organise plant details in one place. If you know of a local park that you think needs a tech-revamp, add QR Codes to bring in more millennials to the park.